Every now and then it’s good to try something you don’t often try. However, a bad time for this is before a meeting at work, and a bad thing to try is a different variety of something you aren’t keen on anyway. For me, this was a different type of canned cold coffee from the works fridge. 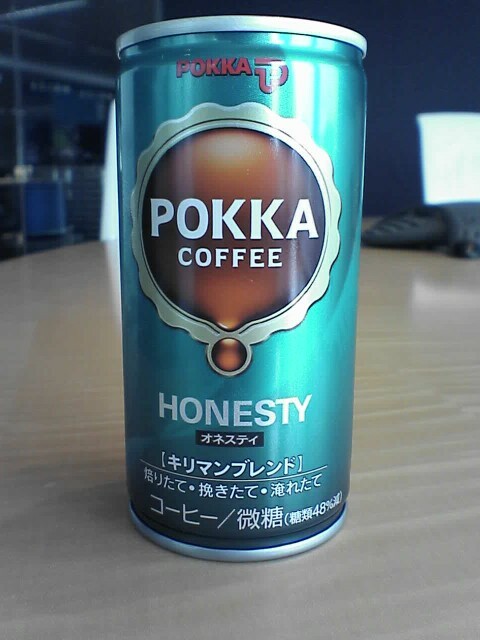 Generally, I don’t drink these, but when one is called “Honesty” you have to at least give it a try right? This was awful, vile, disgusting. If this coffee was a relative, you’d send it really nasty socks at Xmas. If you see this in the konbini, give it a miss. Honestly.